We’d love your help. 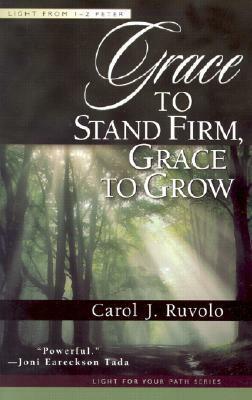 Let us know what’s wrong with this preview of Grace to Stand Firm, Grace to Grow by Carol J. Ruvolo. Peter’s perspective on grace helped first-century Christians live out their high calling, even amid satanic attack. This perspective can do the same for twenty-first century believers. To ask other readers questions about Grace to Stand Firm, Grace to Grow, please sign up. A phenomenal book. Had trouble putting this on down. Really expounded on God's grace in ways I wasn't familiar. Would definitely recommend.